2016 is coming with iPhone 7 and Galaxy S7 being the bright spot. Owning so many videos from digital camera and movies downloaded from the Internet, would you be happy to enjoy all your stored video files on these new gadgets with sharper display? Yep. Some formats are easily opened, while others turn out to be not that convenient to use. That's why a good video converter is becoming an ever-increasing demand. In this article, we've picked up the top-rated 3 video converters in 2016 with their features, easiness, speed, video quality and price all considered for your information. 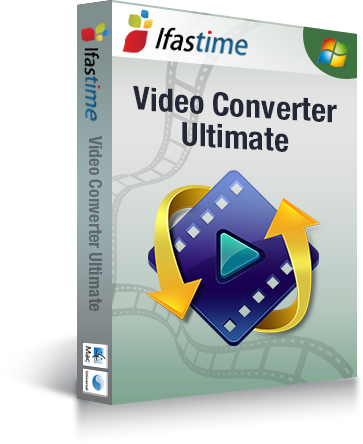 iFastime Video Converter Ultimate is a versatile video converter to load and convert videos in MP4, MKV, AVI, WMV, MOV, HEVC (H.265), MTS, etc. at SD, 720P/1080P HD, 2160P 4K UHD to ton of popular formats and devices like Apple (iPhone, iPad, iPod, Apple TV), Android (Nexus, Samsung, HTC, Kindle Fire), Microsoft (Windows Phone, Surface, Xbox), Nokia, Blackberry, etc. 200+ Built-in preset device profiles are provided. You can also tweak the video, audio parameters that best suits you need. It is an all-in-one video converter, player and editor. Thanks to its built-in editor, you can also easily trim, crop, set effects, add subtitles to your source video as you want. 2. ISO is missing in its output format list. iFastime Video Converter Ultimate stands head and shoulders above the rest of the video converters in our review. Its fast conversion time, high-quality output and extra features make it the perfect choice for video converter software. With Aimersoft Video Converter Ultimate you can create nice-looking DVDs with your best video clips, downloaded video files, DVD rips, and nearly any video and audio file in your collection. Its video editor will allow you to enhance your videos, as well as to add watermarks and subtitles to them if needed. Output formats are neatly organized by codec or device, to help those users with less experience to find and select the right output format for them straight away. Much more than just a simple video conversion tool – it is a DVD authoring tool, an audio extractor, a video editor, a video and audio downloader, and it is up to you to decide what use you make of it. This program produces a nearly perfect conversion of your video files. Only a trained eye can spot the imperfections in the picture. It's missing a couple of minor features like the ability to stream converted videos to a television or sync directly to a mobile device via Wi-Fi. Aimersoft is a fine company that produces high-quality software. Their video converter is no different. The flaws are small and the strengths are great, making this software application a solid choice. Any Video Converter Ultimate is a helpful program that allows users to take video files that are stored in one container format and convert them into another based on their needs. In addition to basic video conversion technology, the program is also capable of converting a video into a specific format to be later used when importing it onto a popular type of playback device. When the user chooses to burn files back to a DVD, a wide variety of different menu templates are available. Any Video Software allows the user to perform all of these functions and more in a program that is very easy to use, even for more novice computer users. Any Video Converter Ultimate converts videos from almost any file type and makes downloading online videos easy. This program took more than 30 minutes to convert an hour-long video. The Gold Award winner converted the same video in five minutes. Any Video Converter Ultimate is a cinch to use and offers a more versatility and functionality than most of the products on our lineup. Any video can be played on any device these days. You just need to make sure it's in the right format. Video converter software allows you to change the format of any video to fit your needs. Peruse our buying guide and product reviews to help you find the best video converter software application for your needs so that you can tackle all your video files on Windows (10) with end result you definitely satisfy. If you're using a Mac and want to convert videos on Mac OS X, please turn to 2016 Top 5 Video Converter for Mac OS X Review.